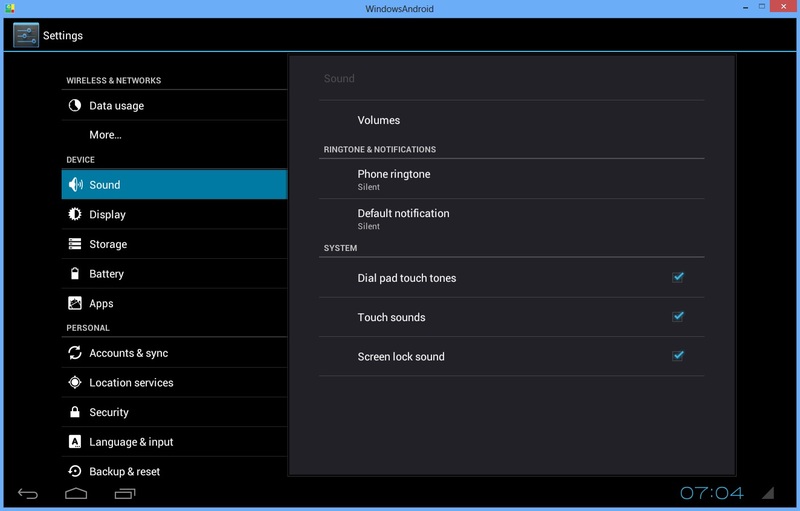 Want to test the Android on your Windows PC, yes it’s possible with the WindowsAndroid Application. 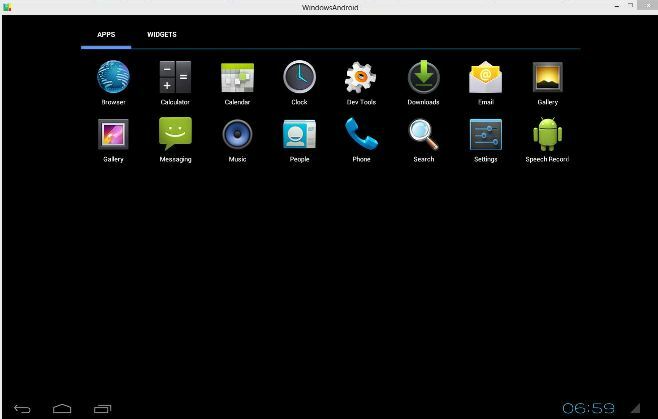 With this application you can test the Android 4 Ice Cream Sandwich on your Windows PC and enjoy all the Android features on your Windows such as Application, widgets, settings and more. With this app you can experience the Android OS on your windows, the installation is so simple. 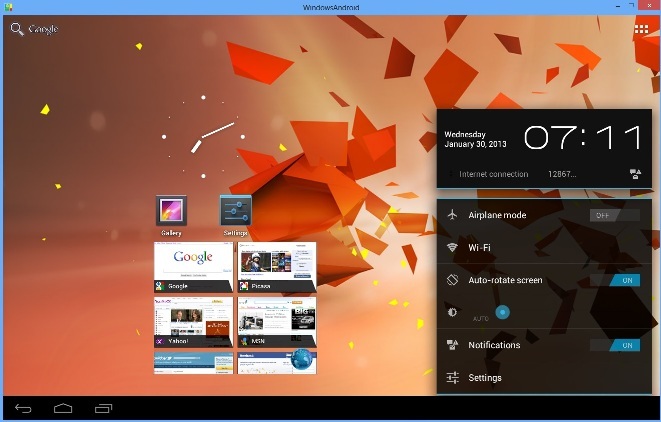 All you have to Download the WindowsAndroid app on your pc and install it on your PC to test the Android Ice cream sandwich on pc. The application comes with some pre-installed apps and allows you to add more to the system. But the doesn’t support the Google play store, so you can’t access the play store from the application. 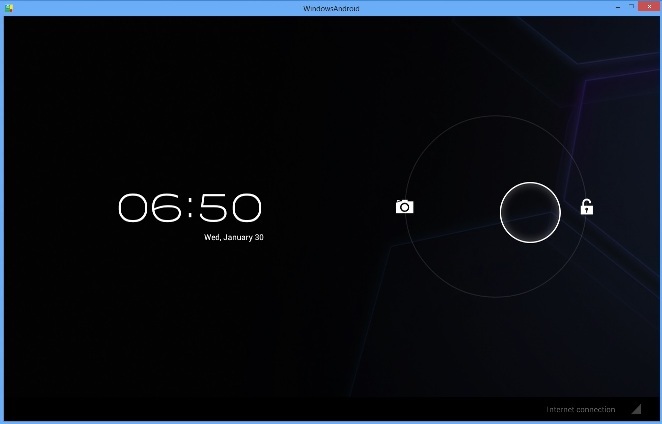 After the installation run the app and you can see the ICS lock screen on your desktop screen same as android device. To unlock the screen grab the lock with your mouse and drag it to the edge of the circle. Now you are on the Home screen here you can see the all menu buttons, clock in the center, Notification on bottom right corner and app drawer on the top-right. Also you can see 5 home screens, with a few shortcuts and widgets already added to them. From the app menu from the top right you can see all the installed app and widgets. The pre-installed apps include browser, calculator, calendar, gallery, settings and the usual lot you get on Android. As we mention above the play store is not working on the app and also you can’t see any Google apps on the screen. You can test other apps also on the application. All you have to do is place the android application apk files on data/app folder of the directory where WindowsAndroid is installed. With this way you can also enjoy other android application on the WindowsAndroid Application. From the settings menu you can change the wallpapers, display, date and other settings. Also you can view details of your system and play around with different sections. See the screenshot below for more info. Interesting app to test the Android ICS on windows PC, It keeps full Android capabilities. You can run all Andorid apps, including 3D games. We tested this app on our Windows 8 64 bit PC and yes the application has some issues, but much better than an Android SDK.